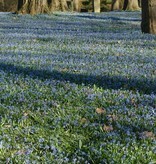 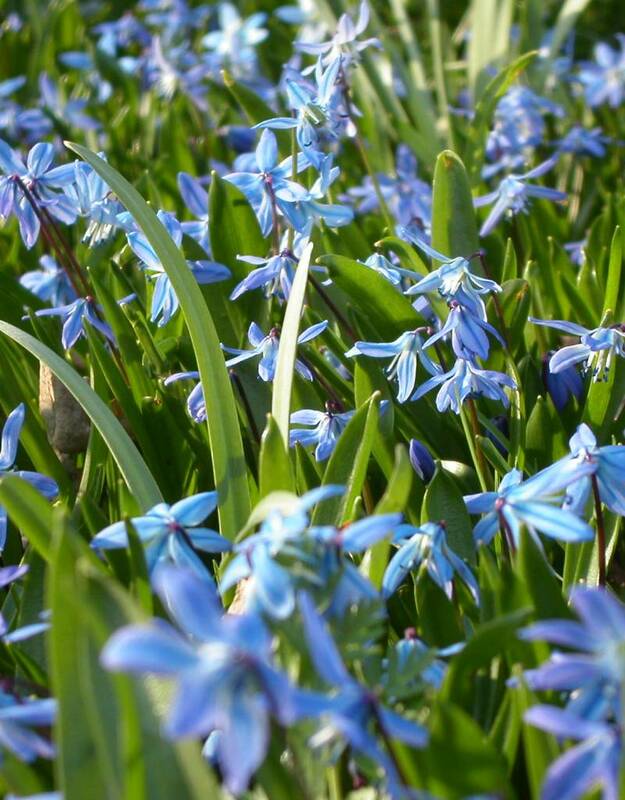 In March the Siberian squill flowers and the stinzenmeadow at De Warande, our garden, becomes a sea of blue. 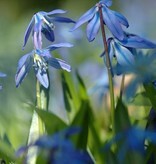 The flowers attract many bees and bumblebees. 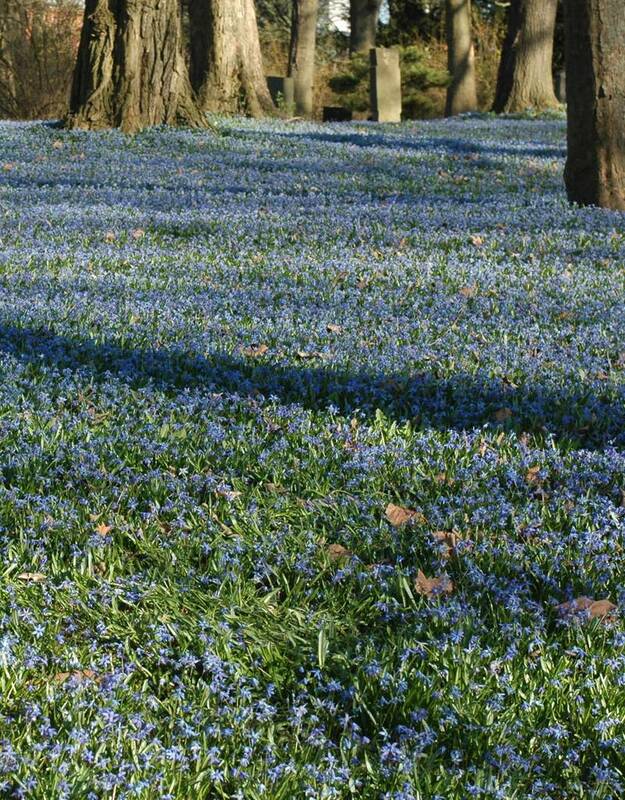 Ideal for naturalising in a sunny or partially shaded spot, under deciduous trees or in grass. 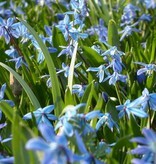 This squill is native to Russia, Turkey and northern Iran. 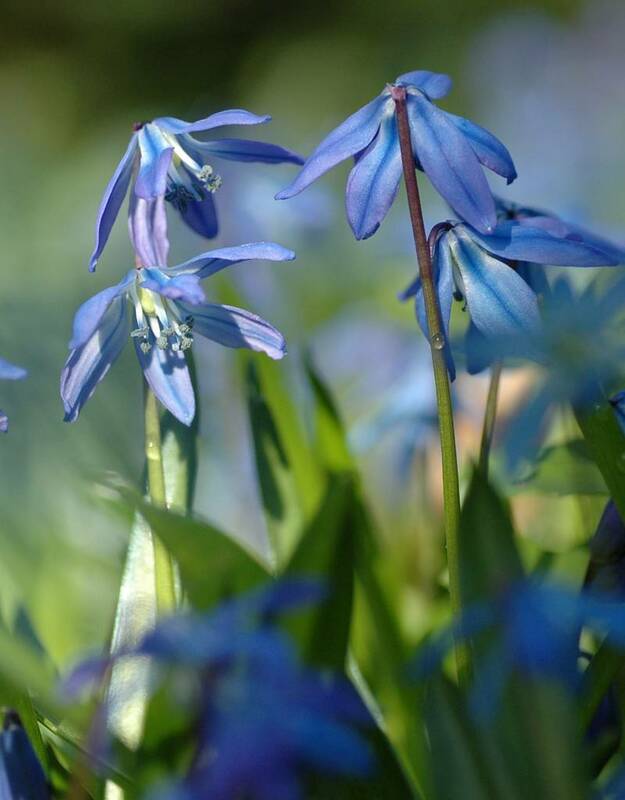 Scilla siberica is beautiful in combination with: Corydalis solida (Fumewort), Anemone nemorosa (Wood anemone), Anemone ranunculoides (Yellow anemone), and Narcissus 'Tete a Tete'.